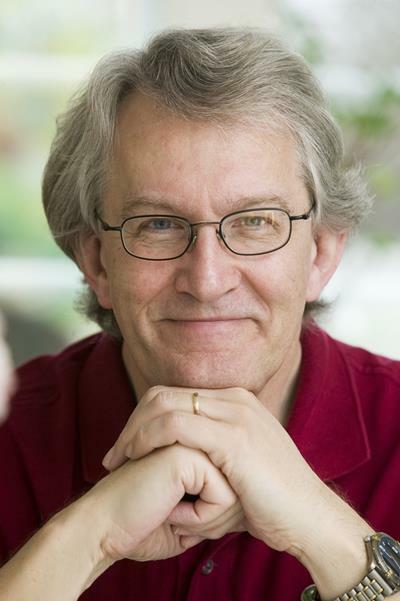 Poul Elming Interview with Bruce Duffie . 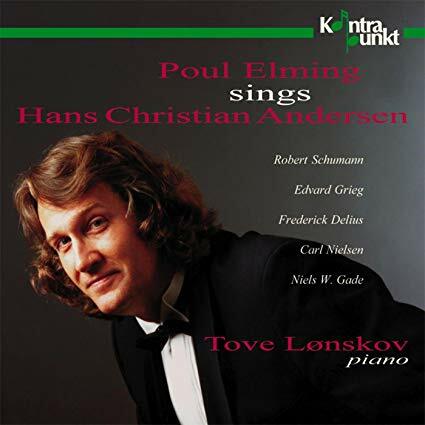 . . . . . . . .
Poul Elming (born 21 July 1949, Aalborg) is a Danish opera singer. He began his career as a baritone, making his professional debut in 1979 as a member of the Jutland Opera in Århus. He then pursued studies at the Juilliard School in New York City where his voice was re-trained in the tenor repertoire. In 1989, he made his debut as a tenor at the Royal Danish Theatre in the title role in Richard Wagner's Parsifal. He has since sung leading roles with major opera companies and festivals throughout the world, including the Bayreuth Festival, the Berlin State Opera, the Liceu, the Lyric Opera of Chicago, the Royal Opera, London, the San Francisco Opera, and the Vienna State Opera among others. He is also the Founder and Chair of the Lauritz Melchior International Singing Competition, begun in 2010 in Aalborg, Denmark. We met during the rehearsal period prior to the three cycles, and as we were getting settled for the conversation, Elming was talking about a particular diet regimen he was on . 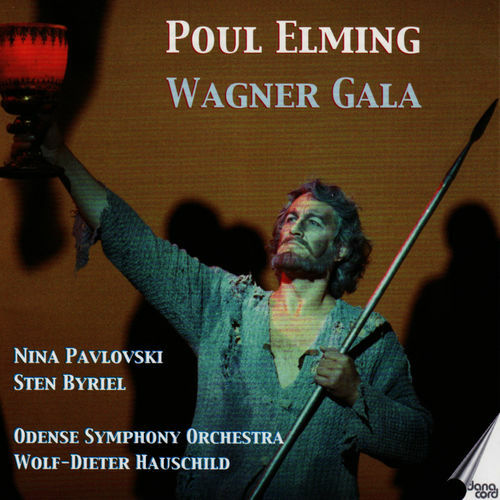 . . . . . . . .
Poul Elming: Every other day I eat normally, so that makes this day (when I eat nothing) bearable. Bruce Duffie: So you’re looking forward to enjoying a meal tomorrow? PE: I’m just looking forward to a normal day tomorrow. PE: No. If you go on a diet and you eat very little, the body stops burning calories. It thinks you’re having a problem, that there’s no food around, so you had better save the energy. BD: Back to the primal days when you were scraping for every nut and berry you could get? PE: Yes, but if you only stop eating every second day, that’s not enough time for the body to react. So, it keeps burning calories. BD: When Siegmund enters in the first act, he is cold and tired. Is he also hungry, and do you feel same kinds of feelings on the days you don’t eat? PE: I don’t think he’s hungry. At least I’m not hungry. I would never do this on a day of a serious rehearsal or a performance. BD: But you’ve experienced it? PE: Yes, but Siegmund’s probably tired, thirsty, hungry, burdened, wounded... He’s just about to give up. BD: Is he hungry for love, or is that the last thing in his mind? PE: I don’t think he’s thinking of love at all. Actually, when he sees this woman, he finds her very interesting. He’s interested in her as a woman, but somehow it’s not really what he wants. He would want this not to have happened because of his history. He just experienced a similar thing, and he knows that anytime he gets attached to somebody, he gets into trouble. BD: So he doesn’t want another complication? PE: No, this just means more trouble. BD: Has Siegmund just come from a love affair? PE: No, not from a love affair, but every time he gets involved with people in one way or another, it just turns out that he did the wrong thing. He’s always doing the wrong thing, as he tells us... There was this girl that was being given away against her will, and he tried to save her, and he killed all her brothers, and all of a sudden, the stupid girl was on top of the killed brothers weeping and crying. So, there he was, looking quite stupid. He knows that things happen all the time, and he basically wants his life to end because he’s fed up with it. He doesn’t really want to go on living. BD: But then he gets interested in Sieglinde, and wants to live? PE: Yes. He cannot really help it if he gets enthusiastic about something, which he does about her. At least that’s how we see it in this production. He doesn’t really feel love for this woman, but he feels that she is in trouble, and she needs help, and who should help her but me? That’s what turns him on, and when he sees Hunding, this big brutal person, he really knows that here’s somebody I should help... even if he knows in the back of his head that it’s probably wrong what I’m doing. He is actually trying to run away when she says, “Don’t, please don’t leave. You won’t bring trouble into a house that is already in trouble.” That is the magical word, “Oh, she needs help,” so in that case I’d better stay because I cannot leave her, and let terrible things happen to her. PE: That, again, depends on the production, because when does he actually realize that she’s his sister? Normally he realizes that at the very end of the first act when she tells him at the time he pulls the sword from the tree. But by then, he’s so enthusiastic that I don’t think he is confused. It’s just one more wonderful thing that is happening to him on this ‘perfect day’, and, of course, he does not know what’s going to happen to him a little later. He found his sister, he found the sword that his father promised him, so this is a wonderful day. BD: Could the two of them been happy if he hadn’t killed in Act Two? BD: I was just wondering if they would have had a tempestuous relationship. PE: They probably would, because that’s in their makeup. They are rebels fighting and struggling. I’ve been through a lot of different productions of this opera, and basically we always reach the conclusion that Hunding is actually not a very bad guy. He’s basically like people were in that time and place. All his neighbors and all his relatives were the same kind of people. BD: He’s just an ordinary fellow? PE: He’s just an ordinary fellow. He got his wife in a strange way. She was given to him, or he picked her. He didn’t ask her whether she wanted to marry him, but that was the way it worked. That was not unusual. So, he’s basically just an ordinary fellow, but this girl cannot adjust to the conditions. She’s always fighting him, and for the first time she meets somebody who is willing to fight with her. That’s what turns her on. In the production that we are doing in Bayreuth, we have a couple of things that she does. She touches her hair in a certain way, and all of a sudden he remembers something. “I’ve seen that before. Where was that?” Of course, it was his sister many, many years ago. That’s something that makes his mind work. He wonders what’s going on here. In that production, when she tells him, “This house and this wife belong to Hunding,” she’s angry when she says it. BD: She’s not just resigned to it? PE: No, she’s really angry, and he think that’s thrilling. He likes that kind of woman because she’s not just adjusting to a stupid circumstance. BD: How old are they? PE: That’s a problem because they are somewhat younger than I am. [Laughs] I would think that they’re about eighteen years old, which we also try to emphasize in the Bayreuth production. I have a daughter who is sixteen, and I know that from one minute to the next, she can change from being a child to a very mature woman. It just changes from one minute to the next. You never really know what is going to happen, and it is the same thing with these people (Siegmund and Sieglinde). We have moment where they are really extremely mature, talking about deep feelings and all that stuff about nature, and Winterstürme, and all that. They are talking like grown-ups, and then, in this production in Bayreuth, all of a sudden they become two kids, on their knees having a great time, laughing and smiling, which I think is a good thing. My Sieglinde in Bayreuth is the same as we have here, so some of it is brought over from that production. Of course, when you have limited time to rehearse, you have a tendency to bring stuff from other productions. We don’t have five weeks to do this thoroughly, so we have to bring things into the production we’ve already done. Unless the producer says we cannot do something, it’s going to stay. Only a few things have actually been thrown away, but we’re not trying to do a replica of the production in Bayreuth. Just bits and pieces because we’re the same two people singing the same two roles. We cannot, all of a sudden, do something totally different, unless we’re actually told to. BD: When you go out on stage, are you portraying a character, or do you actually become that character? PE: Oh, I portray it. I would like to say the opposite, but no! I’m trying to act, but there are some evenings when you get carried away. Those are, perhaps, not the best evenings for the audience, but it’s so much more fun for us. [Laughs] Actually, they are better evenings for the audience, too. It’s funny because sometimes you have this feeling like you are standing next to yourself, looking at yourself and what you’re doing. This is a terrible feeling, but sometimes you get into it more completely, which is a good feeling. You never really know how you’re going to react when you go on stage. It might be one or the other, and all my colleagues know these feelings. BD: Obviously, your voice range and quality dictate which parts you will sing. Do you like the characters that are imposed on you because of that? PE: Is there any reason not to like Siegmund? [Laughs] I like him very much. 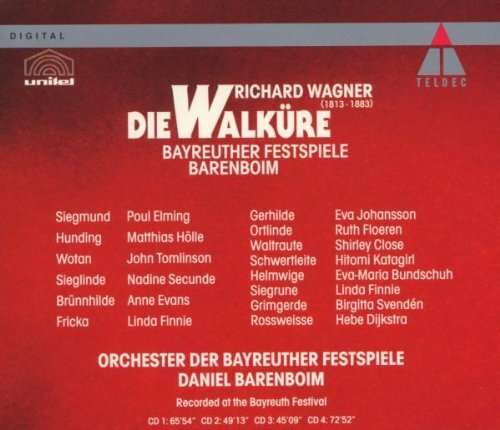 James Levine once said, “It’s interesting that in two acts of the Valkyrie, Siegmund gets much more sympathy than Siegfried gets in two whole operas.” That’s actually very true. He’s a very sympathetic guy, and the audience likes him. He’s a good guy, a really a good guy who just is always getting into bad luck. BD: So he’s as victim? PE: Oh, yes! He’s a victim of Wotan’s stupid plan, and the audience feels that very clearly. He’s trying to do his very best, but his fate is different. BD: We don’t usually see men as being victims. In opera it’s usually the woman who is the victim. PE: Yes, that’s true. I never thought of that, but it’s true. BD: You started out as a baritone. Did you have second, or third, or fourth thoughts about moving up to the tenor range? BD: Do you think that at some point you will feel you’ve succeeded? PE: It’s difficult if you have a long career. I had ten years professionally as a baritone, and I sang lots and lots of roles, so old habits — even old vocal habits — never leave you, which doesn’t make my life as a tenor easier. BD: Are any of your tenor roles in the same operas where you sang baritone? PE: I’ve sung the Herald, in Lohengrin, and now I sing the title role. They’re on stage together, but they don’t interact. BD: The world has accepted you as a tenor, but have you accepted it? PE: Yes, but I fear that if all of a sudden I accept myself as a mature tenor, I’m afraid that my development would stop. Every time I have the opportunity, I take voice lessons. I really try to become a better singer, and one of the reasons for that is that I’m not pleased with what I’m doing. It doesn’t mean that I’m totally displeased with what I’m doing, just that it can always be better. I hate to listen to myself on records or tapes, and I don’t often do it. Every time I do, I hear all the terrible mistakes, all the leftovers from my baritone days. All of sudden I think, “Uh, oh! That was much too much like a baritone, and that’s why it becomes so difficult for me to get up on that high note.” I hear it so clearly, and it’s something that I have to keep working with. BD: But when you get the great maestros of the world — like James Levine or Daniel Barenboim — saying that they approve of what you’re doing, doesn’t that give you any comfort at all? PE: Well, they’re only humans! [Both laugh] It does, of course, but finally I am the one to decide which of what I’m doing is not good enough, and there are many things I think that could definitely be better. BD: Are you glad, though, that your career has taken on an international stature? BD: Do you do the same thing with roles? Do you make sure you get away from the Wagner a little bit, so it’s fresher when you come back? BD: But then on the other side is they get the first shot at roles that become wonderful for you. BD: Tell me a bit about Parsifal. BD: Is he really human? PE: Oh, yes, he definitely is. He’s perhaps the only really human person in that opera. What I find very interesting about that role is that he goes through a transition. From the beginning he’s just probably a boy of Siegmund’s age — seventeen or eighteen years old. Then, in the second act, which is the big scene with Kundry, things start to happen in his head. Finally, we see him in the third act, and we don’t know how many years later it is. I always imagine it’s at least twenty years later, where he’s grown up, mature, and a reflecting individual who has experienced a lot of terrible things, but who is really now ready to take over. BD: Even though it’s twenty years, he’s not really weary of the journey? PE: [Thinks a moment] I don’t know. The funny thing is that when Gurnemanz talks to him and I ask, “What has happened?”, I have the feeling that’s my idea. [Elming again moves easily between saying ‘I’ and ‘he’.] The words come out, but he doesn’t really know what he’s saying because it’s the first time that he has actually been talking for twenty years. He’s not been talking to anybody. BD: He’s been wandering in the desert? PE: He’s been wondering around because of this curse. Kundry says to him, “You won’t be able to find your way anyway. This is a curse I’ve put on you.” So, everything has been confusing. He thought he knew, and again it wasn’t right. Everything has been terrible for him, and when he arrives at the Castle of the Grail, he sees how terrible things have developed. Amfortas is still alive, but he’s just urging for death to come. Titurel is already dead, and everything is pretty miserable. Parsifal is a very difficult role to talk about because the whole opera is so complex. You can work on this opera for weeks, and still find new layers in it. 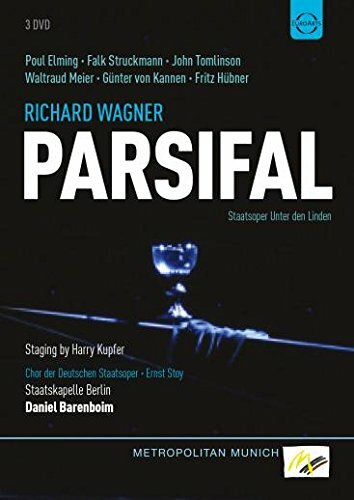 I don’t think you ever reach the goal where you can say, “I know exactly what Parsifal is about” because it’s a weird story. But you asked if he is really human, and I think he is human. BD: Being human, then, he’s the odd man out in the story. PE: Sure he is! The whole thing is all so weird. There’s this boy who knows nothing. He’s not stupid, he’s just ignorant, and his mother deliberately kept him in ignorance because she didn’t want him to end up like his father, who got killed in war. She wanted him not to know anything about weapons. She just wanted him to be ignorant because that would be the safer thing for him. So, he is totally ignorant, which is a thing we can’t really imagine — a person of eighteen years who doesn’t know anything about anything at all. He doesn’t even remember his own name, though he remembers the name of his mother. He’s very proud when Gurnemanz says he must know something, and he responds, “I have a mother. That I know, and I even know her name!’ He’s very proud because that’s basically all he knows, which is a tricky situation for a young man. Up until the kiss in the second act, he’s only reacting on his instincts. From then on, he becomes a thinking individual who really uses his intelligence — which was there all the time — but now, all of a sudden, he puts two and two together. He’s saw things at the end of the first act with Amfortas and the Grail, and he didn’t understand anything. Then, all of a sudden, he understands what it was all about. From then on, he just keeps working in his head, and he realizes what was going on, and what’s going to happen. BD: Is there any way to convey all of this growth and maturity to the audience in just the time you have in the third act? PE: It is a long act, but we’re really going into some serious business now! [Both laugh] I see the whole opera as a process of maturing. He’s becoming mature throughout the whole opera. It starts when he shoots the swan, and Gurnemanz and the other members of the brotherhood don’t really like this. They tell me, “You shouldn’t do a thing like that,” which he doesn’t really understand. “Why? Why? Why can I not shoot a swan? I’m good at that, and I shoot anything that moves!” But a seed is planted in his mind that he’s not supposed to shoot a swan. Then he sees the whole thing with the Grail, and that’s another seed. When he comes back in the third act, he’s not quite there yet. Gurnemanz tells him about nature, and all the animals and the creatures of the world. He says that they couldn’t see Jesus, but they see an image of Jesus in this human being that is an entlöster Mensch [lost man]. At that moment, everything fits together. Parsifal has all the pieces, but it takes the narration of Gurnemanz and the Karfreitagszauber [Good Friday Spell] to being the pieces together. That makes him fit to go heal Amfortas, and to take over. That’s how I feel it. It might be totally wrong, but that’s how I feel about it. BD: That’s what you bring to the role. PE: Yes, that’s what I try to bring, and that’s why the Karfreitagszauber is not only a beautiful section of music, it is the most important part of the whole opera, because that’s what makes Parsifal understand what the whole thing was about. BD: Is that what makes the audience understand what the whole opera is about? PE: It depends on the production. I have done good productions, and I have done less-good productions. Parsifal is an opera that you could easily screw up if you’re an opera producer. There are so many things you could do. You just have to decide what route you want to take, because if you want to show the whole thing, it’s just going to be confusing. It’s an opera you should see and listen to many, many times, perhaps with different approaches. That way you can try to get new angles to this very, very complicated and complex story. BD: Is Parsifal a sacred work, or is it just another opera? PE: I think it’s an opera. It’s just another opera. Unfortunately, it’s regarded as something sacred, but I don’t think that’s the case. BD: It’s just an opera, but on a sacred subject? PE: Yes, but there are many such operas. Think of Samson and Delilah. 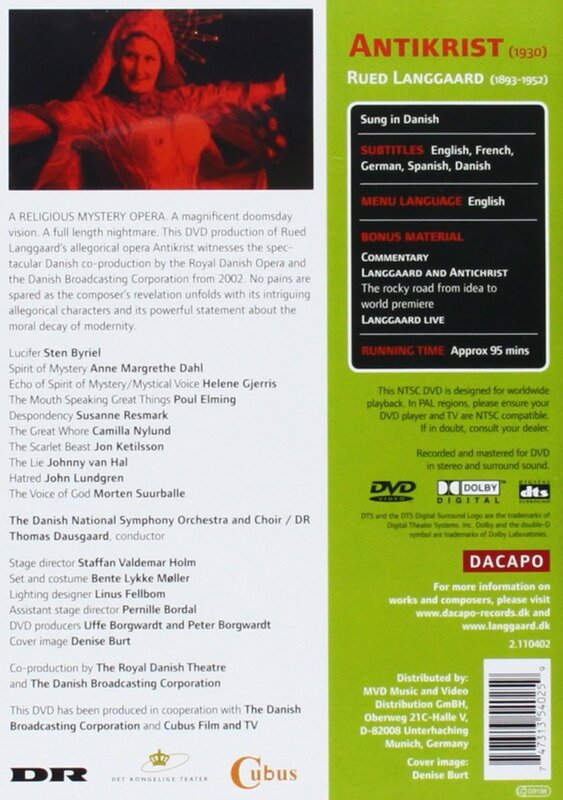 I just did a role in an opera by the Danish composer, Carl Nielsen, called Saul and David. That is another sacred opera. Parsifal deals with a lot of scared things, but it’s definitely not a work that should be done in a church. 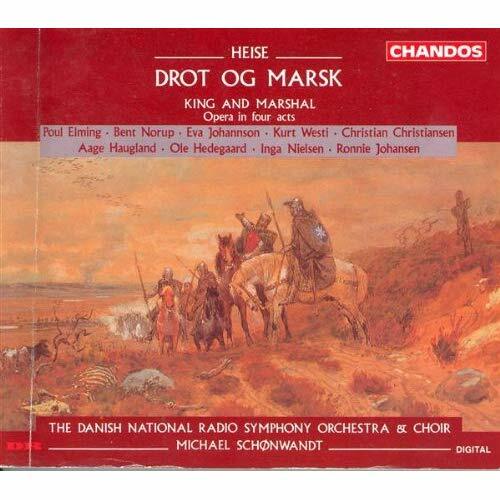 BD: Speaking of Danish operas, you’ve recorded a Heise opera, Drot og marsk [King and Marshal] (1878)? BD: Does it please you that you’ve recorded the opera, to give it an international circulation? BD: What language should it be in? PE: Why not German? German and Danish are two languages that are somewhat related. They’re totally different, but still some of the sounds are the same. 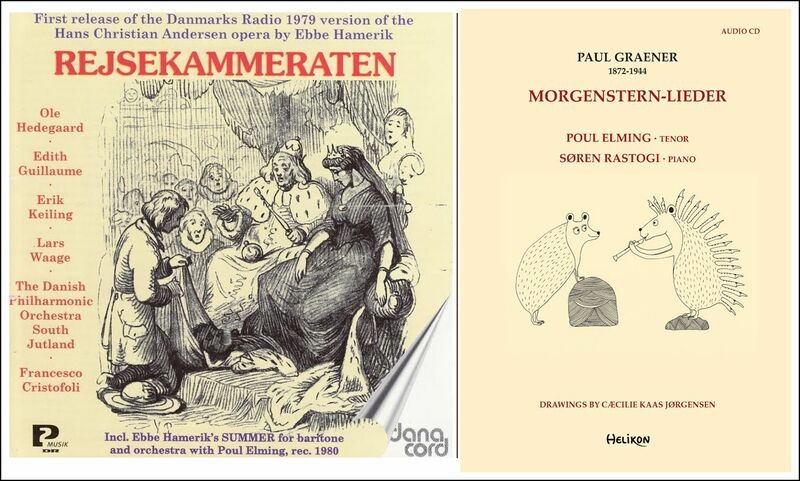 The libretto is not great poetry, so why go through the hell of learning it in Danish! 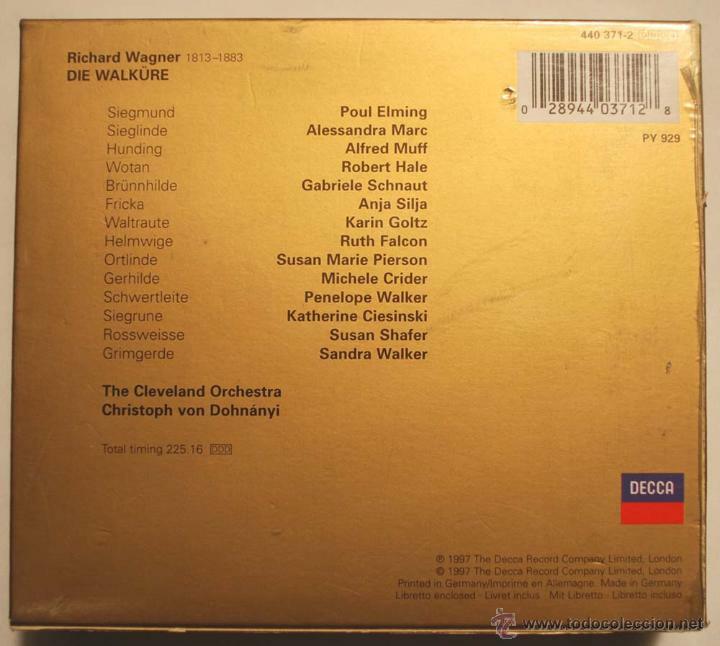 [More laugh] It’s different with Richard Wagner. I really think the libretto is good poetry, and it should be done only in German. Some operas have terrible librettists, and some have good librettists. BD: When you’re doing the Wagner here in Chicago, do you like having the titles above your head so that the audience can follow it? PE: I have mixed opinions about that. Of course, I don’t see the supertitles, but I remember when we got them in Copenhagen. I had done Parsifal in two seasons, and you always have this funny feeling of having sung trillions of words, and nobody really understands what you said. They understood the general feeling, and the general context of what was going on. Then we got the supertitles, and it was obvious that the audience really understand much, much more of what was going on, and participated much more of the whole process. BD: I would think that would make you feel better as an artist. PE: Sure, but then we know that because of those supertitles, about a third of what we’re doing on stage is never seen because people are busy reading. So, that’s why I say I have mixed feelings about it, because there are some good things about it, there are some bad things about it. The best thing would be if everybody knew the bloody text. As a spectator, I hate the supertitles because even if I know the opera, I keep reading it. I cannot just enjoy it as if they’re not there. If you don’t know the opera at all, and if it’s in French or a language that I don’t speak, and perhaps I didn’t even buy a program, so it would be a good thing if they’re there. It’s not all good and it’s not all bad. It’s something in between. BD: We kind of touching on it, so let me ask the big question. What is the purpose of opera? PE: I hope you have a lot of tape! [Much laughter] It’s of course impossible for me to answer that question, but I can try to say something about what I think. PE: I think that opera is a sort of drama. We have to make drama on stage. It has to be dramatic. What are we doing? We’re trying to tell a story, but because there is music it’s different from a straight play. Also, because there’s music, it just takes one much deeper into the soul and the emotions of people. Because music has this possibility of moving people’s souls, we have to know that it’s what we’re doing when we are making opera. We try to give people an experience on a spiritual level. It’s actually easier for me to say what I don’t think opera is. Opera is not pretty singing. That does not mean that it can’t be good singing or beautiful singing, but the voices are just tools. We should use the voices to express something. We shouldn’t use opera as an opportunity to present out voices. Do you see the difference? PE: That’s how I see it, and that’s why I say opera is drama. It’s not just showing off on high notes, and all that stuff. That, to me, is totally irrelevant. If that’s what you want, you should go listen to street singers in Italy. It’s a different thing. As I say, it doesn’t mean that it cannot be beautiful, or that it cannot be wonderful to listen to but that is not the main thing. Sometimes you should perhaps even try to make it sound ugly if that is what you’re trying to express. BD: Do that if the drama calls for it? PE: Yes, if the drama calls for it. You shouldn’t always think of making beautiful sound. Very often, that is what you’re doing, and that’s what you should do, but you should consider the possibility of trying to sing something less than beautiful, because if you express more clearly what is supposed to be expressed, that’s what you should do then. BD: Do you feel that opera is more art than entertainment, and where’s the balance? PE: Oh, definitely. It’s art, it’s not entertainment. BD: [Surprised] Not at all??? PE: It depends on what kind of opera we are talking about. If we’re talking about The Barber of Seville, or Don Pasquale, it’s definitely entertainment, and funny, and it should be. Then, it’s a different kind of thing. Especially in my baritone days, I did a lot of these things. I studied Malatesta (in Don Pasquale), and all those things, and the more people enjoy themselves, the more they laugh, the better the evening is, and the better you’ve done it. But then again, there’s an enormous difference between Don Pasquale and Parsifal, for instance. BD: Those are almost the two extremes. PE: Yes. I picked those two extremes deliberately. [Laughs] When we say ‘opera’, what do we mean? It could also be entertainment, yes, but the things that I do are basically not entertainment. It’s art, or least that’s what I hope it is. BD: That’s what you strive for? BD: Having gone through the upheaval of making a career and then re-making the career, are you at the point now that you want to be at this age? PE: I think so, in my fach [vocal category], as we say. By singing the roles that I sing, I think it’s about time that I start to lie about my age, because I know what has happened to a few colleagues. Even if they were, perhaps, some of the best in their roles, when they reached a certain age nobody asked them to do the roles any more. You don’t want a Siegmund who is sixty-five, or something like that. It’s as tricky thing. I hate to lie about my age, but I do see a point doing it. [Laughs] So, I might start lying about my age pretty soon. BD: You will sing as long as you can deliver the goods? PE: That’s true, but that seems not always to be enough. If people know that this guy tries to look as if he were seventeen when he’s actually nearly sixty, it could have a certain significance. It’s different from one country to another, but I might take on some other roles then. A role like Loge doesn’t have any age at all. He could be a hundred, he could be twenty, he could be any age. PE: It should be! [Much laughter] It should be basically fun, and up until now I’ve mostly had fun singing. But, of course, it’s a question of the roles that you sing. You have to make it be fun. You have to be sure that you can actually sing these roles fairly easily. If it’s complicated, if it’s difficult, if you really don’t know whether you’re going to make it or not, I don’t think it would be that much fun. BD: [I then asked Elming about his recordings, and he lamented that even though his part (Siegmund) was due for release, the ‘Cleveland Ring’ would not be completed. 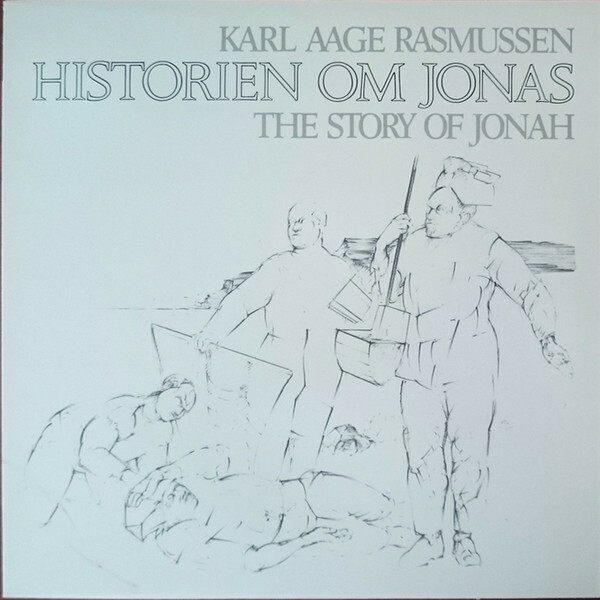 CD back-cover is shown near the top of this webpage.] Are there other recordings, either done or coming soon? 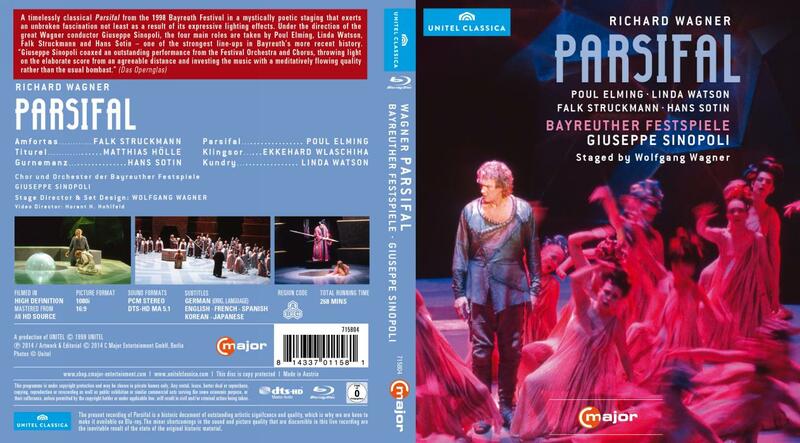 PE: There’s a video of Parsifal, but it’s not on CD. 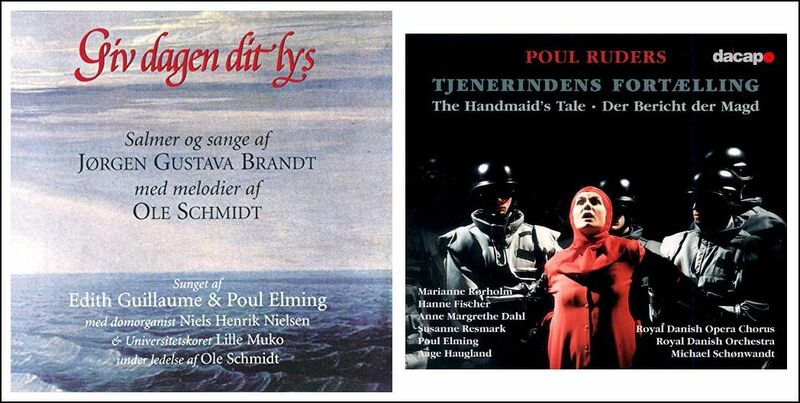 Then I’ve done a couple of smaller Danish things with the Danish radio on Chandos. There’s a beautiful piece by composer Niels Wilhelm Gade [he pronounced it as non-Danes do, Gah-duh], but we pronounce it Gay-the. It means actually ‘street’. 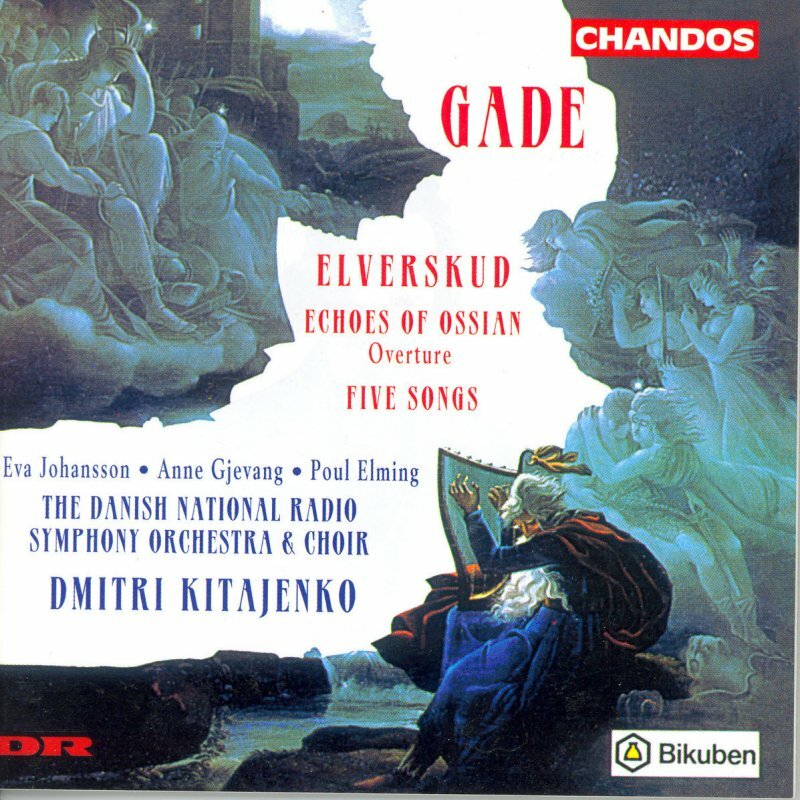 It’s a beautiful piece called Elverskud. It’s a very, very good piece, and I’m so pleased that I got the opportunity to do that on CD [shown below], because I’ve done it so many times. 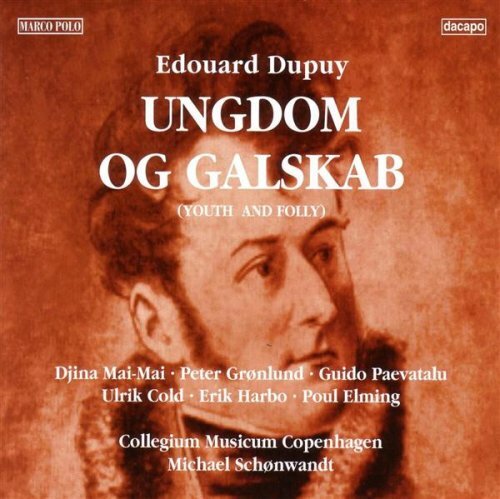 It’s with three soloists, and a symphony orchestra and chorus, and it’s great Danish music. It might only be great to Danes, I don’t know, but it is so Danish and, forgive me, I love the things that are Danish. PE: [With a wink] Many people love ‘danish’, don’t they? That’s something you eat. BD: [Patting his ample stomach] That’s right, exactly. Are there any records extant with you as a baritone? PE: [Sighs] I don’t mind it. At the beginning it was difficult. I felt lonely sometimes. I never feel lonely now when I’m in a hotel room. Here in Chicago I have my family, which is a great luxury. I was in San Francisco for almost two months in the Fall of ’95, and that was a little difficult. It meant that I got a tremendously big phone bill! [Both laugh] We have a daughter who’s turning three now, and if you leave her for two months, you come back and find a totally different child, which is scary. But, as I told you, when I’m out, I meet people almost always that I know. For instance, at Bayreuth, when we’ve been together for two and a half months, we say good-bye to each other, and then we go wherever we belong, and two weeks later we meet some of the same people again. Throughout the year we basically meet everybody. BD: Will you be coming back to Chicago? PE: There are no plans, but I wouldn’t mind. It’s a very nice opera house. People are very kind, as they were in San Francisco. That seems to happen in America. PE: Well, you do a good job! I’ve studied in New York, and I know this country very well, and I like this country. Sometimes I feel that if I should have to move to another country, it would be to the United States of America. I like the people. People are friendly in America, basically. BD: I’m glad we’ve made you feel welcome. PE: Oh, I feel terrific. BD: Good. Thank you for coming to Chicago for our Ring, and thank you for chatting with me. I appreciate it. PE: I appreciate it, too. Thanks a lot. I hope I didn’t make too many linguistic errors. This conversation was recorded in Chicago on February 26, 1996. Portions were broadcast on WNIB five days later. This transcription was made in 2019, and posted on this website at that time. My thanks to British soprano Una Barry for her help in preparing this website presentation.